This blog originally ran in February of 2015. My great-nephew Rush Perine is still doing great. 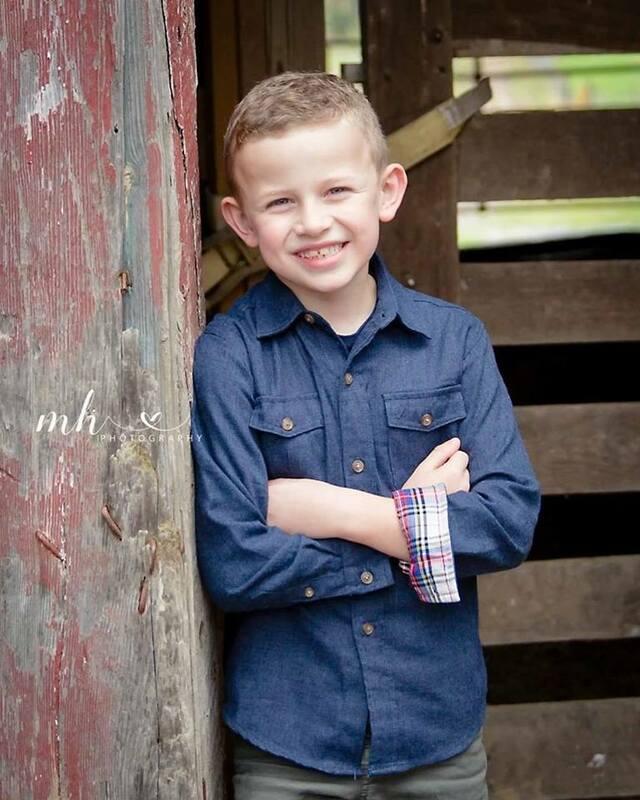 He is in second grade, plays the drums like a boss and is an active, ornery, beautiful 7-year-old with two darling little sisters, Willow and Winter. His story continues to inspire me and apparently, many of you. And when all of this happened - right within our very own family - I had never personally known another family to have gone through this. But since then, I have. Our good church friends Jayne (Shingleton) and Josh Simmons lived a similar situation with their baby, J.T. JT was born Nov. 17, 2016 with a hole in his heart. 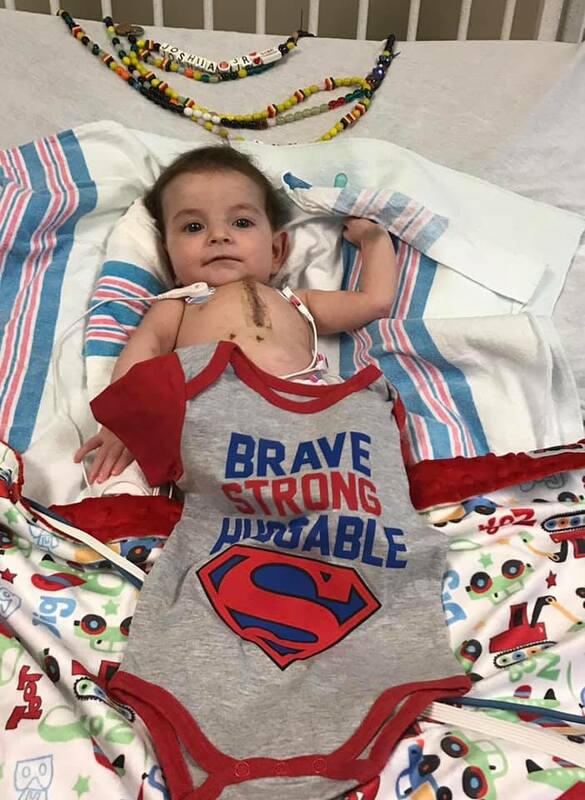 Weeks later, his parents were told that when he grew bigger and stronger, he would have to undergo open-heart surgery to repair his heart defect. 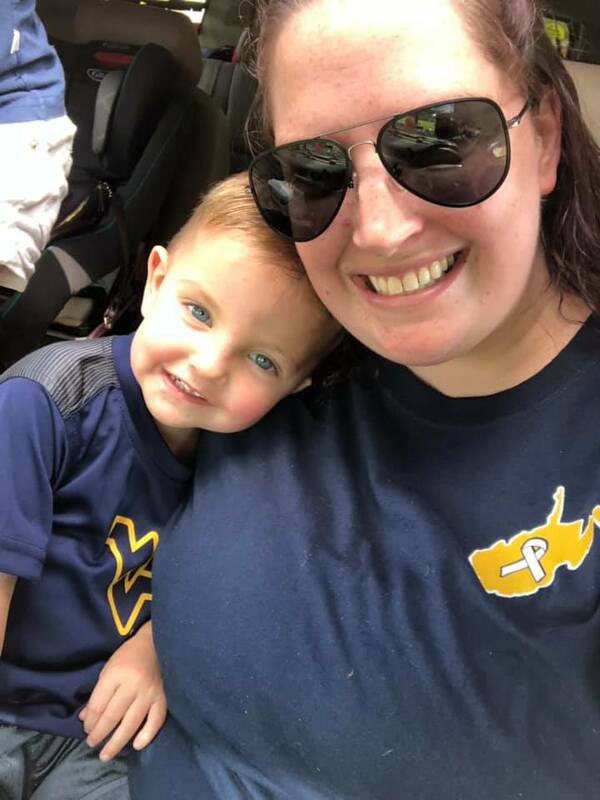 In February, the little guy was hospitalized at WVU Children's Hospital for failure to thrive and he was placed in the PICU with a feeding tube and monitors. At three months old, he still only weighed 8 pounds. He was in the hospital for 53 days before he was approved for the open-heart surgery. He was holding at about 10 pounds, but the hole in his heart was making him work so hard to eat that he was expending so many calories, it was hard for him to gain any weight. On March 23 of 2017, little JT underwent surgery. From the time his mommy and daddy kissed his little cheeks and prayed over him, they didn't see him for six hours. It seemed like an eternity. But it all went so well and just five short days later, Josh and Jayne took their baby home. He has since gained weight normally and at each doctor check-up, he is given the green light to proceed life with flying colors. Lying there in his hospital bed, he looked so tiny, yet was so strong; strong enough to breeze through surgery and recover like a little champ. Josh and Jayne were likewise amazing. 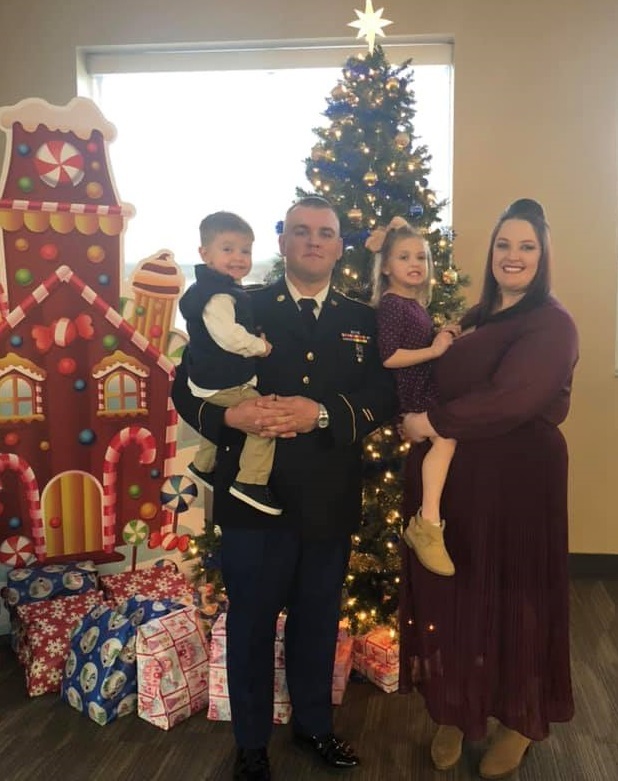 This young couple had all the faith in the world that their little boy would survive and thrive and in addition to God, they drew strength from family and friends, including Tara and Adam Perine, who were able to assure them with first-hand experience. Now two years old, he is toddling all over our church on Sunday mornings and from what I hear and see, he is a typical little loving, inquisitive and dare devil little boy. I'm privileged to know both of these families and every time I look into the eyes of these little boys, I'm reminded once again that God is good and today's doctors, medicine and technology do wonders. Coinciding with Valentine’s Day, this week is Congenital Heart Defects Awareness Week. Perhaps in years past, that one might have slipped by without giving it too much thought. But like anything else, once a disease has struck one’s family, the impact hits home. My three-and-a-half-year-old great-nephew Rush Timothy Perine has curly hair, beautiful blue eyes and an infectious smile. He attends preschool, has a boatload of cousins and he loves music, outdoor play, his baby sister Willow, “Monsters University” and hotdog buns with ketchup – hold the wiener, please. Tara and Adam want other young parents – and everyone - to be aware of the possibility of congenital heart defects – the leading cause of birth defect-related deaths worldwide. One in every 125 U.S. babies are born with a CH – basically meaning that their hearts do not perform properly. That’s 40,000 babies, many of whom are not diagnosed at birth – or at all. Many cases of sudden cardiac death in young athletes are caused by undiagnosed CHDs and childhood-onset heart disease. Early detection is critical to the successful treatment of CHDs and in the past 25 years, advances in treatments including surgery, medicine, artificial valves and pacemakers - have made strides. Some heart defects can be detected by a routine ultrasound, but the most effective prenatal test is an echocardiogram. According to the Cleveland Clinic Web site, CHDs might be indicated by shortness of breath or intolerance to exercise. That site provides much useful information, including how to find a doctor if the disease is suspected or diagnosed. The American Heart Association Web site is a great resource with much information about CHD, including stats, treatments, resources and links to stories. Specific information on the diagnoses of CHD can be found here. To further understanding and research, adults with congenital heart defects can take part in a survey. That simple act could go a long way in helping others in the future. Ask your genetic counselor about research studies available. These days, Congenital Heart Defects Awareness Week has a triple meaning: It’s a time to think about – and give thanks for – the strides in research and the amazing treatments available for children and adults with CHD. I know how thankful the entire Perine family is. It’s also an opportunity to remember that symptoms being experienced by children and adults could be linked to such a defect. That’s something to consider, for sure. 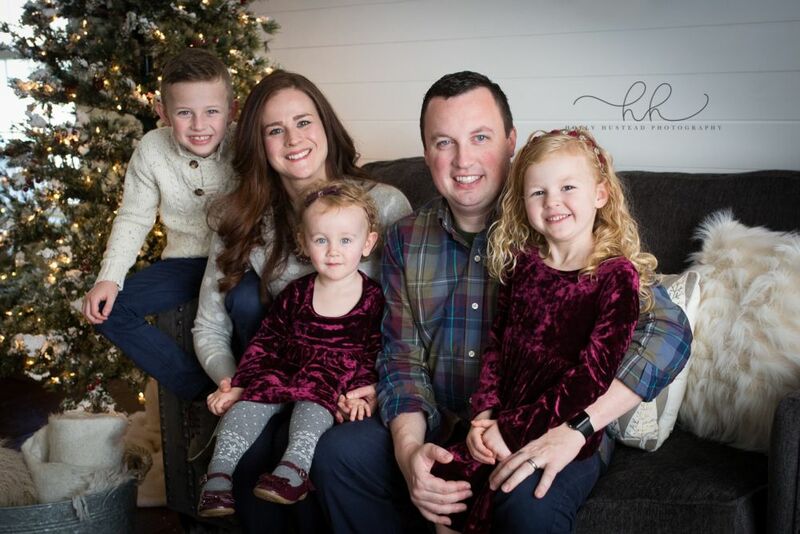 And finally, it’s a reminder to me that young parents like Tara and Adam can affect many with their open hearts, open minds and deep faith in God to accept, protect and repair. Tara says Rush is a typical toddler with an atypical heart. I’ll leave you with a few words beautifully written by this young mother. You can read her full story here. Adam, Tara and their children live here in Bridgeport. The couple said the medical team at WVU Children's Hospital has, throughout their entire journey, been amazing.